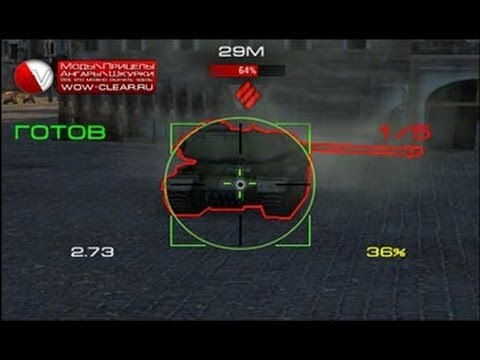 Square sight for World of Tanks 1.4.1 from Andre_V. This time, not so loaded, and even a little comfortable, mododelov progresses and it pleases. In the archive you can also find eight different versions of the information. The sight is easy to use and quite minimalist. Nothing will disturb you to aim at the enemy. With each new update increases both the quality and variety of sights. Today we want to introduce you to an unusual, but very comfortable square sight. It is not overloaded with unnecessary information and very friendly.